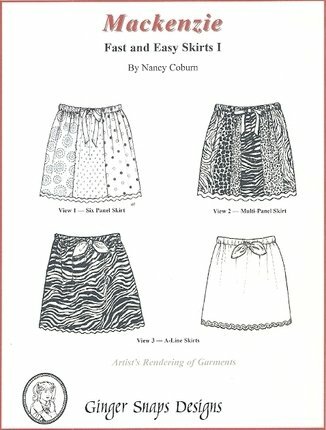 This is a fast and easy skirt pattern that is designed for creativity and ease of construction. Patter includes three variations with a choice of an elastic casing or a ribbon drawstring. The skirt has a little fullness over a basic A-line skirt and that provides a margin for error in size selection, as well as a little wiggle room for comfort for little girls.